Do you have trouble praying? Does your mind wander? Do you say the same prayers in the same way over and over to the point where you have become bored with prayer? Do you think this means something is wrong with you or that you must not be a good-enough Christian? 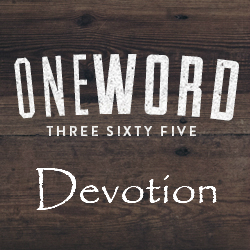 You are not alone, and no… boredom in prayer isn’t from a lack of faith or lack of love toward God. It is, as Don Whitney says, a problem with method. In this book, Whitney explains how to pray the Bible, why the best book to pray through is the Psalms, and guides you through with an exercise. I’ve heard the saying “pray the Bible” before. I had an idea what it meant (I was sort of right… a little bit), but thought it would be too involved. I never really had it explained to me. This book explains it in such a simple way that I can’t believe we all don’t just instinctively know to do this. This is definitely one of those books that changed my way of thinking, and will hopefully have a profound effect on my prayer life. I received a free digital copy of this book from Crossway for review purposes.